Pearl ball drop earrings, vintage inspired. 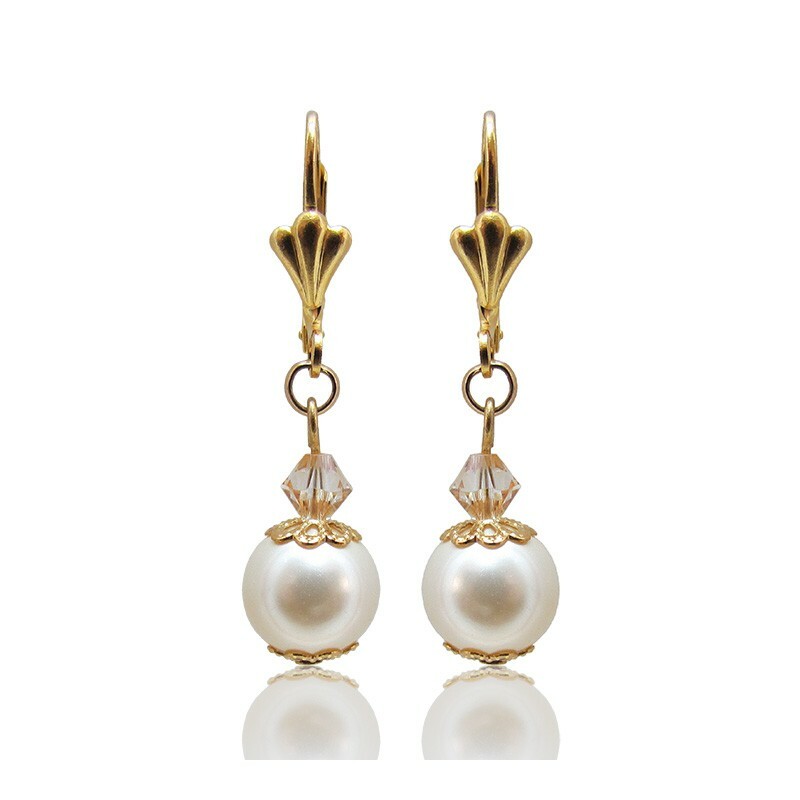 Delicate pearl ball earrings capped with a Swarovski crystal and gold plated. Pearl drop earrings length: 1.2" / 3 cm approx. The Forever love collection was inspired in love and peace. 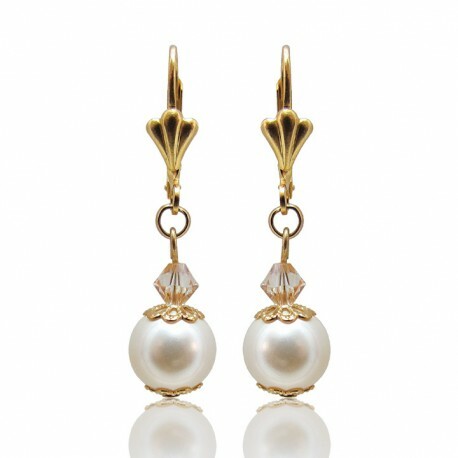 The pearl ball drop earrings are a special piece for a bride or gift for someone you love.